The Patriots defeated the Bearcats of Muncie Central on Saturday at Ball State University. All Jay County gymnasts placed in the top 6 on vault. Sophomore Kenzie Ring won the event with a score of 8.7. Karlie Bullard earned second scoring 8.65. Riley Leavell took 5th place with a score of 8.2. Randi Ferguson was 6th on vault scoring 7.95. Once again, all Patriots competing on bars placed in the top 6. Ring won the event with a score of 8.3. Leavell tied for 3rd place scoring 7.125. Bullard placed 5th with her score of 6.975. Bullard took 1st place honors on the balance beam with a score of 8.35 on her no fall routine. Ring placed 2nd with a score of 8.025. Leavell was 4th with a score of 7.525. 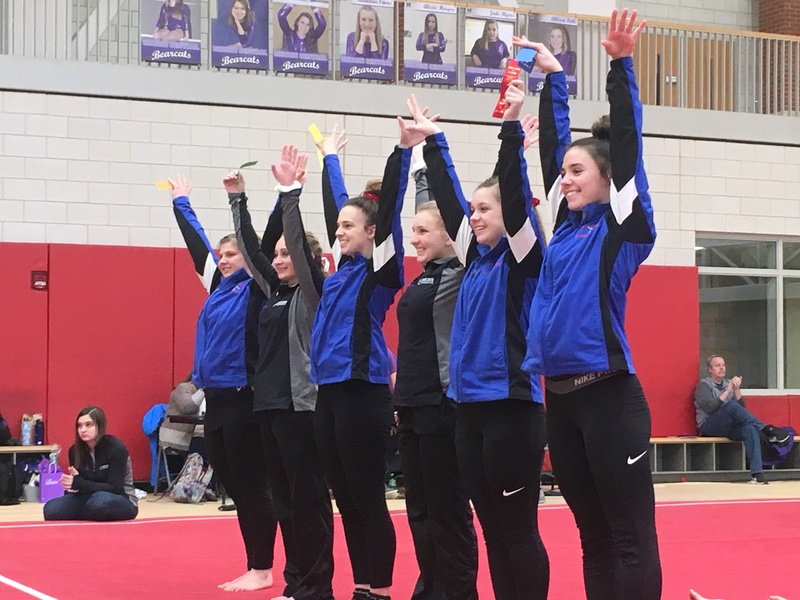 The Patriot charge continued on the floor exercise, once again placing all of their gymnasts in the top 6. Bullard won the event with a score of 9.325. Ring placed 2nd scoring an 8.95. Ferguson took 4th place with her score of 8.075. Leavell’s score of 7.0 earned her 6th place honors. Ring won the All-Around competition with a score of 33.975. Bullard took second place honors with her score of 33.3. Leavell came in 5th scoring 29.85. Jay County travels to New Castle on Wednesday, February 20th to conclude their regular season.